When people think of wine country in the U.S., they think of Napa or Sonoma Valley, and for good reason. Approximately 90 percent of wine produced in the U.S. comes from California. But the remaining 10 percent should not be discounted, and may be closer to your home state than you think. Grapes are naturally adaptable and can even grow in regions that experience extreme low temperatures so long as they’re properly cultivated. This makes for a wide variety of flavors, since the taste of a grape is unique to the region in which it’s grown. The fact is, you don’t have to go to California to find great vineyards and wine tasting opportunities. Here are eight alternative locations throughout the United States sure to please even the pickiest of palates. There are few places more scenic than rural New York, known for its cliffs, gorges and stunning hiking trails. Finger Lakes Wine Country (pictured at top) is no exception, featuring three main trails and over 50 participating wineries and distilleries. The Cayuga Lake Wine Trail is the oldest in the U.S., established in 1983. It’s also heavily awarded, boasting six Governor’s Cup trophies. Festivals and pairing events are held year-round, with themes including chocolate, cheese, harvest and holiday. Lake Erie Wine Country is the largest grape-growing region east of the Rockies, extending 50 miles through Erie County, Pennsylvania into Chautauqua County, New York. Known for its white wine, vineyards along the trail utilize the minerals and temperature moderation provided by Lake Erie to grow premium French-American and European grape varieties. Featured events vary by season but include wine classes and lectures. Willamette Valley divides two mountain ranges: the Cascade Mountains and the Coast Range. Situated just 50 miles off the Pacific, the area’s rich soil makes it perfect for growing pinot noir. Local crops such as cherries, apples and pears are often used in farm-to-table cooking by nearby restaurants, paired perfectly with local wine. 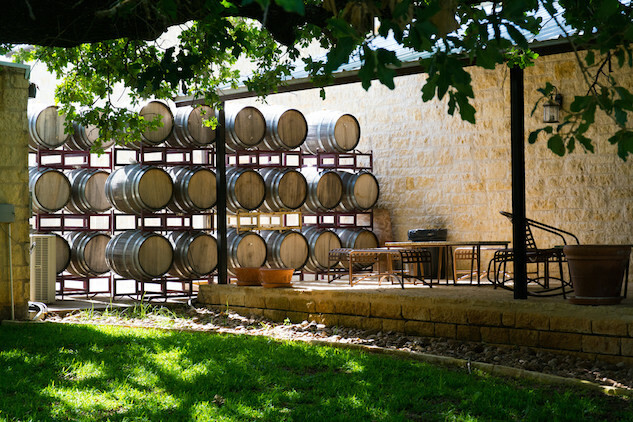 Everything is bigger in Texas, including the wine region, which attracts over 5 million annual visitors to its 46 distinct wineries. Guests can pick grapes, stomp them into juice, attend tasting events and enjoy elaborate food and wine pairings. There are also seasonal self-guided trails available, including the stunning Wine and Wildflower Trail in April. Attendees are guaranteed to leave with great memories and packets of wildflower seeds of their own. Walla Walla wine country features over 100 wineries throughout five areas: westside, downtown, east side, south side and a few across the border in Oregon. Visitors flock to the area for its small town charm and relaxed pace. Patrons often meet with the winemakers themselves as most vineyards are family-owned. Moreover, unlike your local airport, Walla Walla Airport has more than 20 wineries set up with tasting rooms. Now, that’s how we like to fly. Michigan has many wineries nourished by its great lake—101 to be exact—but the most notable and internationally renowned region is Old Mission Pensinsula, a 22-mile stretch of land covered with cherry orchards and located near the 45th parallel. These are the same coordinates as France’s famous Bordeaux wine region. The area features eight local wineries. Colorado has over 300 days of sunshine every year, making this stop a must-see for nature and wine lovers alike. The state’s wine region is spread between Grand Junction and Palisades, nestled into the captivating red rock cliffs and mesas for which the area is known. The biggest event of the year is Colorado Wine Fest, held every September and coinciding with the annual grape harvest. They say Virginia is for lovers—not sure why, maybe it’s all the wine—but groups of all shapes and sizes are sure to enjoy a visit to Shenandoah Valley, Virginia. Located between the Blue Ridge Mountains and Allegheny Mountains, this 200-mile stretch of wineries provides the perfect weekend getaway for those on the East Coast. Jen Ruiz is a Fort Lauderdale-based lawyer and blogger.